On this episode I am joined by Paul Gordon of Futureq.tv and we talk about past projects we’ve done together. 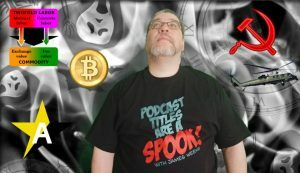 We Talk about Libertarian Party spooks. We talk about the Chase Rachels Jeffery Tucker debate and why Tucker dropped the ball. We talk religion and drugs. We also listen to part of a youtube video from a Patreon of the show, go check out their channel and give them a like and a subscribe. Also, #PleaseDonate.